A twist in a Bronx neighborhood's move to honor "Junior," the victim of a vicious gang attack. A new business owner offered to name his store after the young man, but his family said no. Erica Byfield reports. 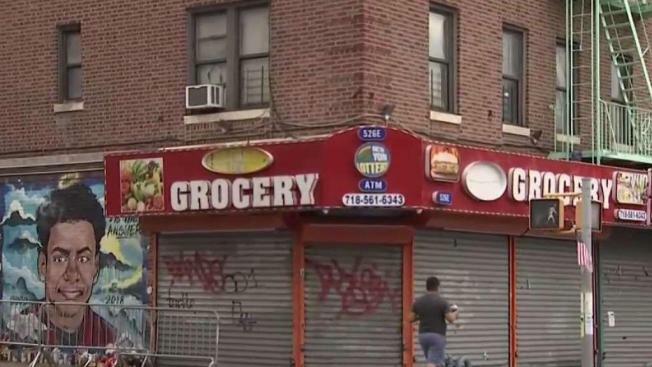 A once bustling Bronx bodega that serves as a reminder of a heinous crime has changed hands, and those new owners are offering to honor the victim but the parents of the teenager killed there want just one thing instead. The new owners have offered to name the corner store after Lesandro Guzman-Feliz, also known as "Junior." However, Junior's parents don't want a name change, but instead a different concept: Safety. Junior's June 20 slaying has captivated communities nationwide, partly because the brutal attack was caught on surveillance video. 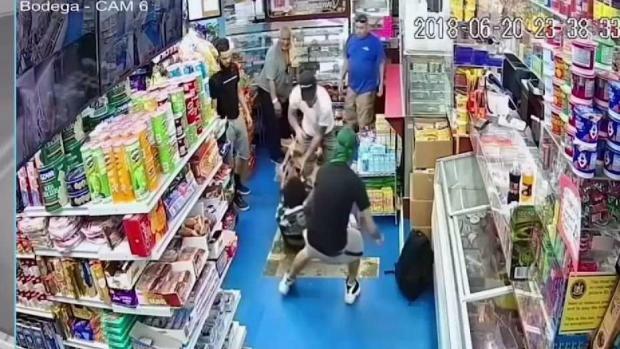 The teen is seen being dragged outside the bodega and attacked by a gang of men who stabbed him with knives and hacked him with a machete as he struggled to defend himself. 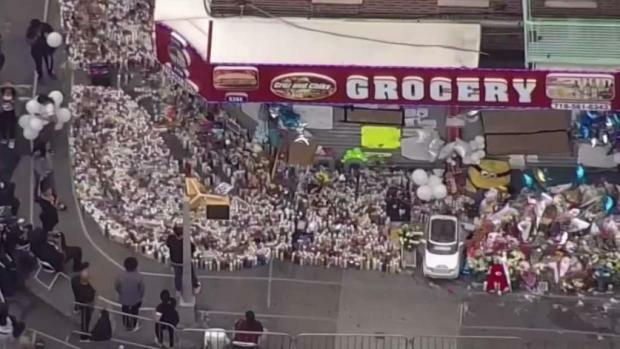 The bodega where slain NYC teen was last seen alive is changing hands and offering to honor the teenage victim. Ray Villeda reports. It still pains Junior's mother to walk past that block, a corner she says is "evil." In the days after the killing, the bodega's owner received death threats and feared for his safety. The community felt he could have done more to help Junior and the bodega had been shut down since the gruesome attack. It's not clear what happened to the former owner, but he told News 4 last month that he tried to help save the 15-year-old boy. By Thursday, the "Cruz and Chiky" signange indicating the old owners' name on the store had been taken down. Information on the new owners wasn't immediately available, but Junior's parents aren't moved by the offer to rename the store for their dead son. 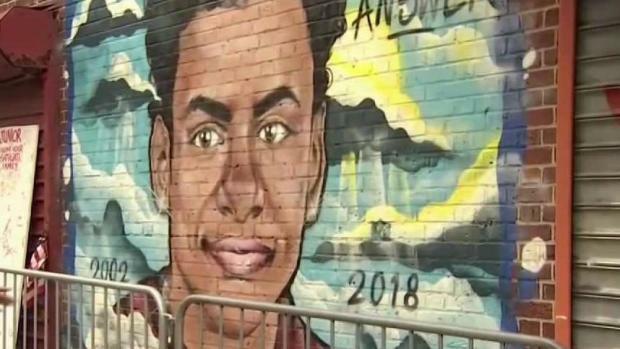 A proposal has been made to rename a Bronx street in honor of the 15-year-old boy killed in a machete attack, a crime that gained national attention for its caught-on-camera brutality. News 4's Wale Aliyu reports on the push for a permanent memorial. "This is an evil corner," Feliz said. "In a few years we are going to see another death at that corner." Neighbors also remain uneasy about the move to reopen the store under new management, and some are even calling for a boycott of the new store. Community members are planning on meeting there next Monday evening to call for a boycott of the new store and to demand that it remain closed. "Keep it closed for a little longer," said Angela Vargas. "It takes a while to get back to normal, because people are still angry," said Malcolm Lenford. But Beverly Durant said, "It is time. It is time. Yes, we are hurting because of what happened but we need to settle down and get back to normal." Feliz did attend an event in support of a separate proposal to rename a Bronx street for her son. A dozen people appeared in court facing charges related to the death of 15-year-old Lesandro Guzman-Feliz, who was killed in the Bronx. Meanwhile a number of Bronx businesses are learning to be 'safe havens' for people in danger after a bodega owner was criticized for not doing enough 'Junior', who was killed outside his store. Erica Byfield reports. The bodega's offer comes a day after the New York City Office of the Chief Medical Examiner officially announced the cause of death for Junior, saying he died from a stab wound to the neck and classifying the case as a homicide. A dozen alleged gang members have been indicted in the case. They're due back in court Oct. 25.